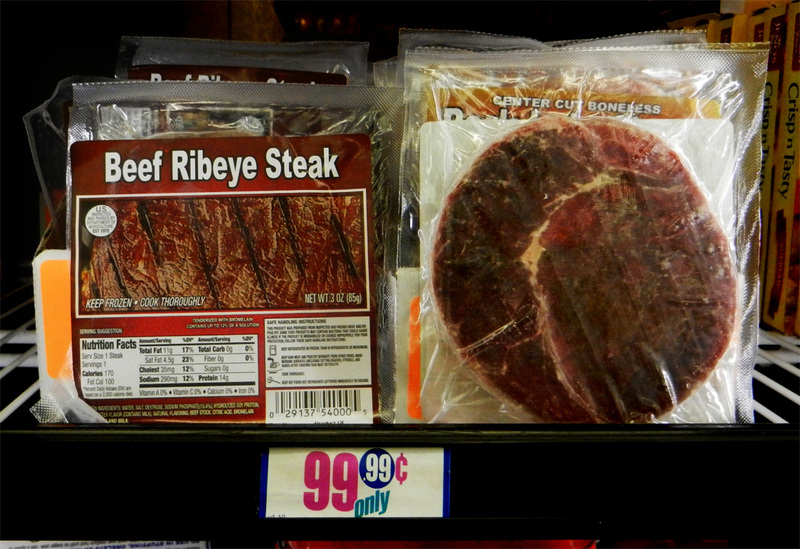 The 99 Cent Chef has a dark, hungry heart - he likes his steak medium rare, Scotch on the rocks and a dame who powders her nose from the inside. This is especially true during the annual run of Eddie Muller and Alan K. Rode's 10th-anniversary "Return To Noir City;" a film festival featuring 1950's shadowy tough guys and femme fatales on the make, screening at the Hollywood EgyptianTheater -- click here for info. This final week's run is a doozy with "Tomorrow is Another Day;" a fugitives-on-the-run love story on Thursday and a double bill starring Edward G. Robinson on Friday. Last Friday night was especially memorable with host Eddie Muller's Q & A of silver screen noir leading lady Colleen Gray, as Quentin Tarantino, fourth row front and center, made his way through a tub of popcorn big enough to hold a bowling ball while crime scribe James "Demon Dog" Ellroy trawled for his next ex-wife in the theatre lobby. 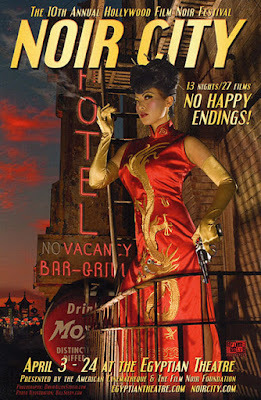 Here is a fun slideshow of the latest Noir Festival I attended. Allow the Back Alley and Bottom Feeding Chef to treat you to dinner and a movie. Let's start with an old school recipe for Ribeye Steak in a Red Wine Reduction with Sauteed Mushrooms. 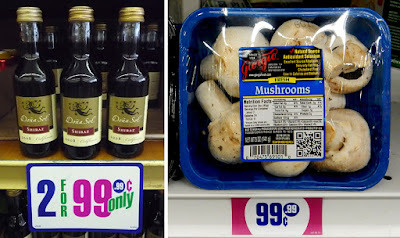 *99 cent airline bottle of Scotch in a tumbler of ice, for the chef. 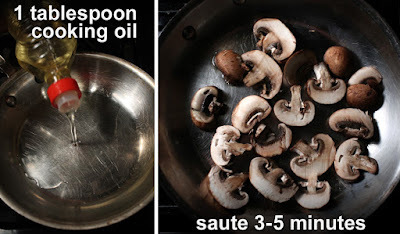 Sautee mushrooms in a tablespoon of olive oil about 5 minutes until soft. 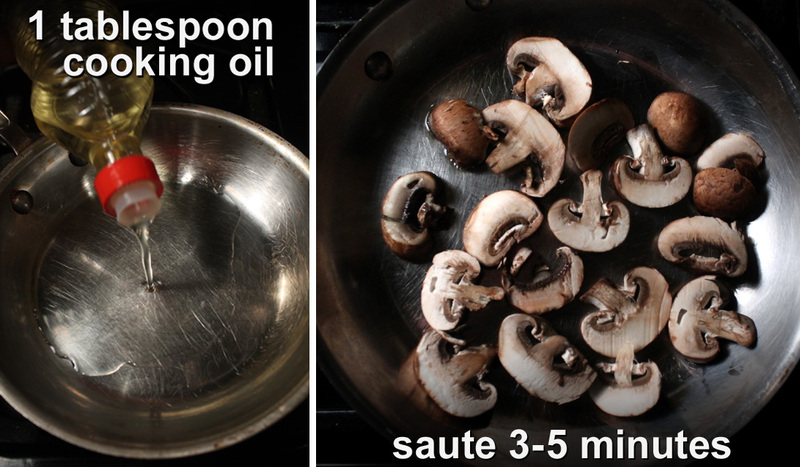 Deglaze pan by adding red wine to mushrooms; then butter slices to thicken sauce; set aside at low heat. Grill seasoned paper thin 99 cent ribeye steak (so thin it could shave off a 5 0'clock shadow) in a hot skillet with a tablespoon of oil for no more than 2 - 3 minutes. 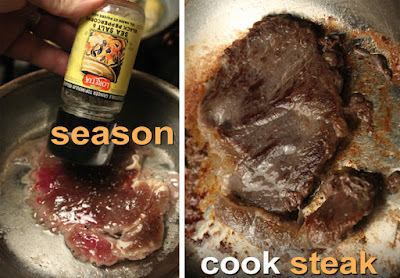 I just brown one side then flip steak for another 30 seconds. Serve ribeye with mushroom wine sauce and a stiff drink of Scotch on the rocks, then make a beeline to "Noir City" at the Hollywood Egyptian Theater. 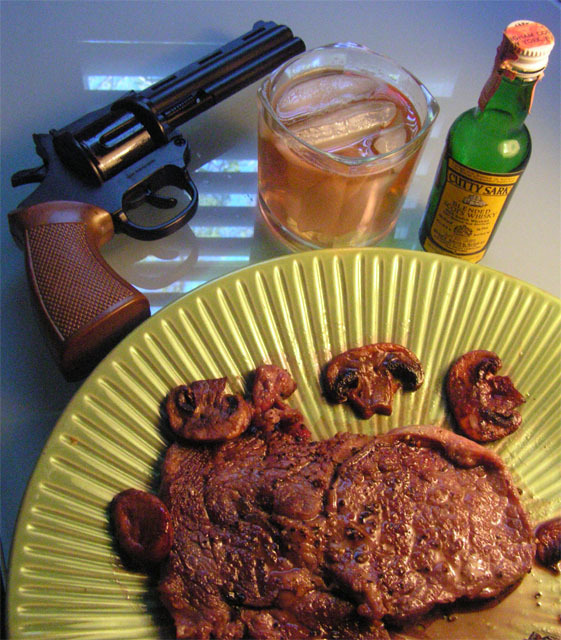 Look for the dark-hearted, Fedora-wearing Chef at "Noir City" and I'll tip my hat and toast you with a black leather encased hip flask of Scotch. Enjoy the movie clip.